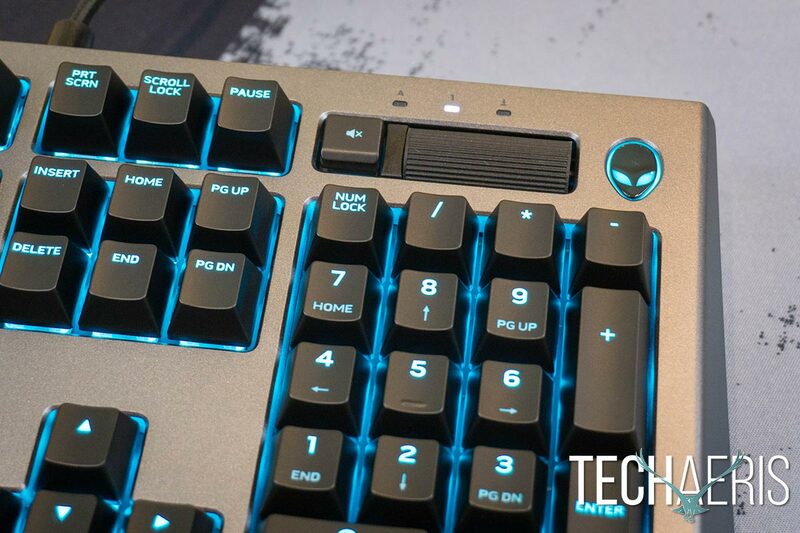 The Alienware Pro Gaming Keyboard with its mechanical keys and macro functions gives you a pretty decent bang for your buck. 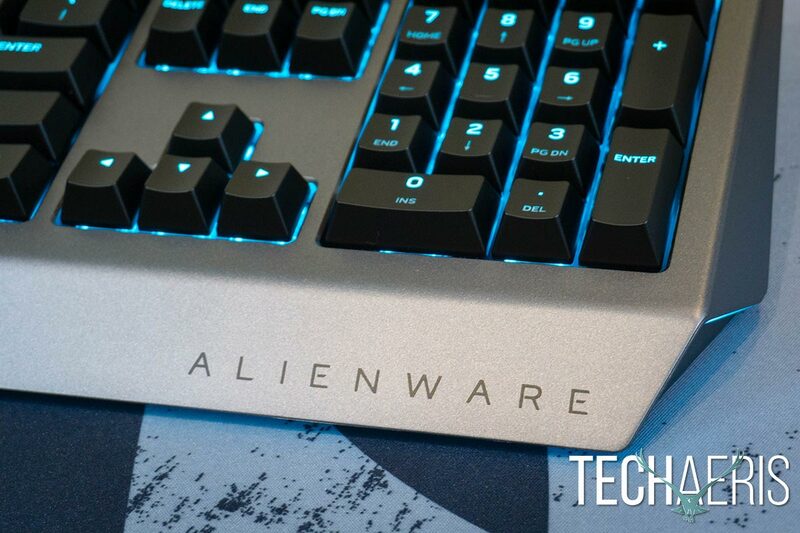 A few weeks ago, we looked at the Alienware Advanced Gaming Keyboard. Now we’re back with another gaming keyboard from the company. This time, our Alienware Pro Gaming Keyboard review takes a look at the slightly more expensive mechanical keyboard to see how it differs from its cheaper sibling. What’s in the box… (plus optional mousepad). 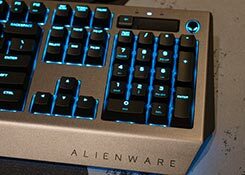 If you’ve read the Alienware Advanced Gaming Keyboard review, most of this is going to sound similar as there’s only a few, in my opinion, minor differences between these two keyboards. For the most part, the design of the two keyboards is near identical. 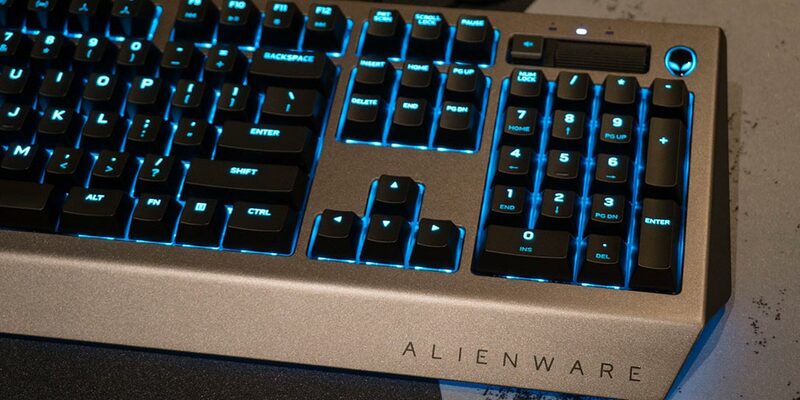 The Alienware Pro Gaming Keyboard features the same angled Alienware design with the Alienhead logo in the upper right-hand corner and the underneath LEDs along the front corners and edge. Instead of a black finish, the Pro has a silver, metallic-looking finish although it’s still a plastic top plate. 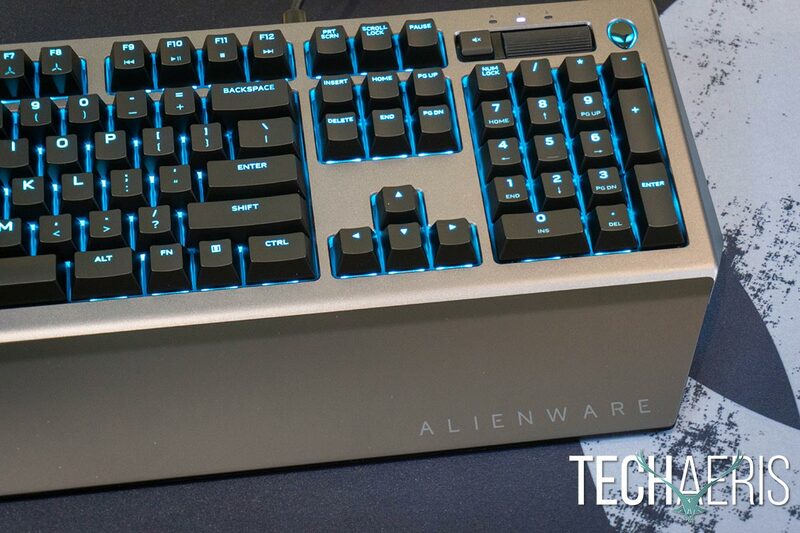 The silver finish on the Alienware Pro Gaming Keyboard gives it a metallic look. As for the actual keyboard itself, like the Advanced version, it is pretty standard fare with your typical full-sized keyboard with full number pad layout. Along the left-hand side are six additional keys: a macro toggle/record macro key and five programmable macro keys. Above the number pad is the second main difference. Instead of volume buttons like the Advanced has, there is a volume rocker in its place beside the mute button. Above the volume rocker are LED lights for caps lock, num lock, and scroll lock. To the right of the rocker is the familiar Alienhead logo which lights up using the custom AlienFx lighting effects. 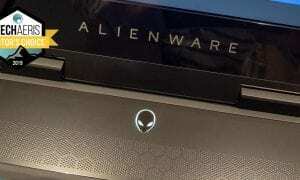 In addition to the Alienhead logo, the Alienware wordmark is printed in black on the lower right corner of the front edge of the keyboard. Instead of volume up and down buttons, the Alienware Pro Gaming Keyboard has a volume rocker. The biggest difference between the Advanced and the Pro keyboards is the fact that the Pro features 16.5 million colour LED backlighting, which looks rather fantastic with the silver finish. As a result, in addition to the Fn Lock, Game Mode, Alienware Control Center launch, ambient light increase/decrease, and media playback functions, the Pro version also has controls for adjusting the backlight brightness. In addition, pressing the Alienhead turns off or turns on the AlienFx lighting depending on the current state and can be programmed to a couple other functions instead like entering game mode. Finally, the Pro also has a profile switch key which switches between three different profiles which can be stored onboard, allowing you to create different lighting and macro profiles. Flipping the keyboard over, you’ll see three padded feet near the front of the keyboard. Located in the back corners are a pair of adjustable feet which gives you three height options, including the default height with both feet folded up. The 6′ USB braided cable is centered on the back of the keyboard as is pretty standard. The feet allow for three different height options. Like the Advanced version, the look of the Pro keyboard definitely fits in with the rest of the Alienware lineup and with its just over 3lb weight, has a solid feel to it. With the silver finish and full backlighting, it does look sharper as well. 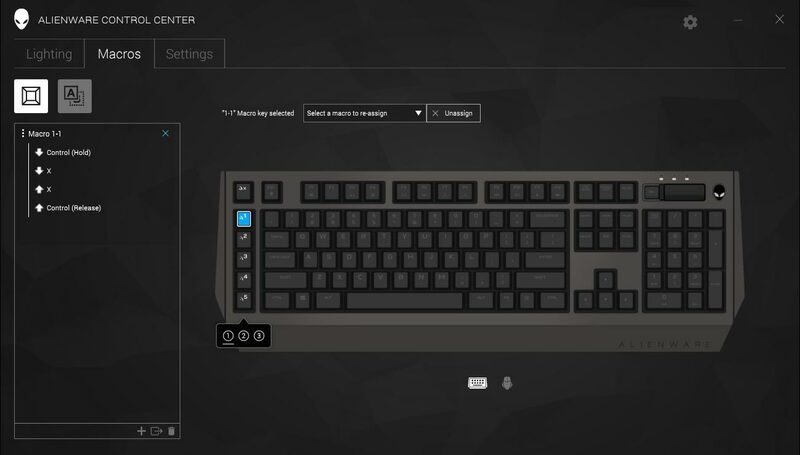 As with the Advanced keyboard, the Pro keyboard can be used as is, simply by plugging it into an available USB Type-A port on your computer, you’ll get more performance out of it once you install the Alienware Control Center software. 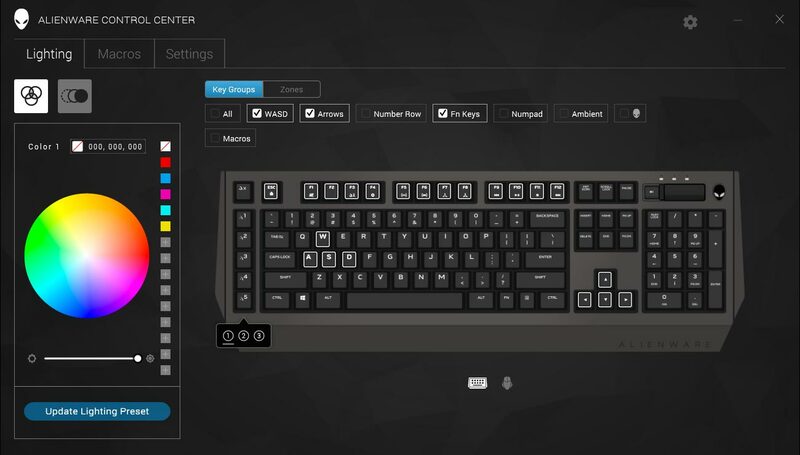 As far as software goes, the customization for the Alienware Pro Gaming Keyboard has more customizable options. You can update the lighting colours from 16.8M options, set a lighting animation (pulse, breath, morph, spectrum, rain drops, arrow, fireworks, scanner, x-ray or color wave), set color animation speed, create and set macros, remap any of the available keys, and adjust the Alienhead button function, Game Mode shortcut, sleep timer, and polling rate delay. Additionally, you have the option of three different profiles to save lighting and macros to, allowing you to customize the keyboard further for specific applications or games. The Alienware Control Center Lighting screen. The software is also used to update the firmware on the keyboard when an update is available. 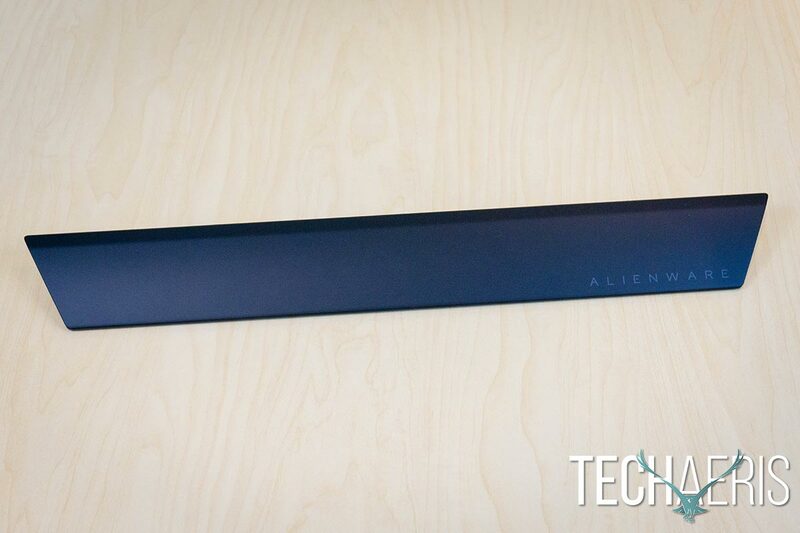 Overall, the Alienware Control Center is simple enough to use and pretty straightforward. Alienware Control Center Macro screen. There isn’t much difference in performance over the Advanced version as both use Kailh Brown mechanical switches. While not industry leading Cherry MX switches, Kailh Brown switches are similar but have a slightly stiffer tactile force. As far as general use goes, the keyboard is great and very responsive for typing. Unfortunately, as with the Advanced keyboard, the design makes it a bit uncomfortable to type for extended periods of time and I felt obligated to have my palms/wrists hover slightly over my desk to get a comfortable typing angle. Fortunately, there’s an optional palm rest you can get which is discussed in the next section. The Alienware Pro Gaming Keyboard with optional palm rest. Unlike the Advanced keyboard, however, the macro keys worked flawlessly and I only had to press them once for them to properly register and perform the desired functions. Typing and gaming using the keyboard was flawless and responsive, and the brown switches have a nice clicking sound without being overly loud. Being able to assign different profiles is a bonus as well and I set up one for Photoshop, and still had two other profiles to assign game-specific macros to. As mentioned in the design section, the front edge of the Alienware Advanced Gaming Keyboard is pretty sloped and not very comfortable when using it for extended periods of time. 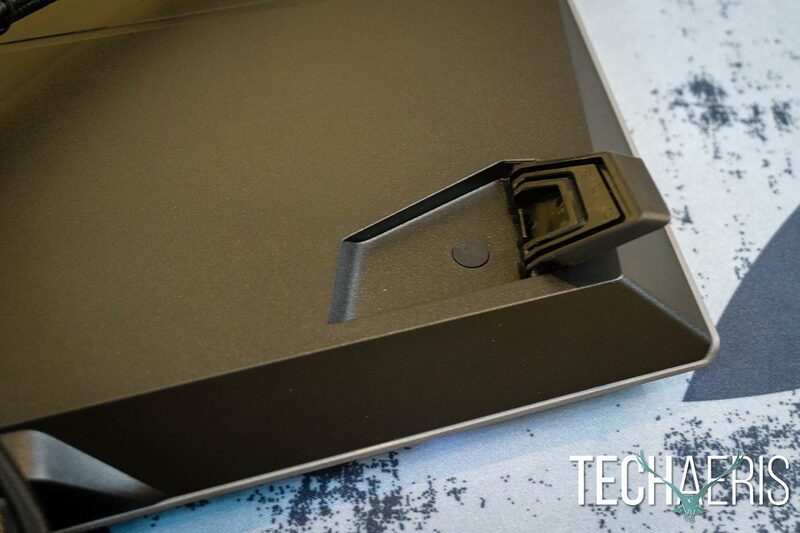 Thankfully, you can purchase an optional Alienware Gaming Palm Rest which eliminates this issue. With the palm rest in place, the keyboard is much more comfortable to use. The palm rest is pretty simple and stays in place against the front of the keyboard via a pair of magnets. The finish is nice and soft for greater comfort, and the Alienware wordmark is printed on the bottom right corner of the palm rest. There’s not much to the Alienware Gaming Palm Rest but it makes all the difference in the world for typing comfort with this keyboard. Unfortunately, that’ll cost you extra and I’d have loved to see Alienware include it with the keyboard, even at a slightly greater overall cost. An also unfortunate side effect of using the palm rest is the front edge of the keyboard lighting doesn’t show as it is covered by the palm rest. 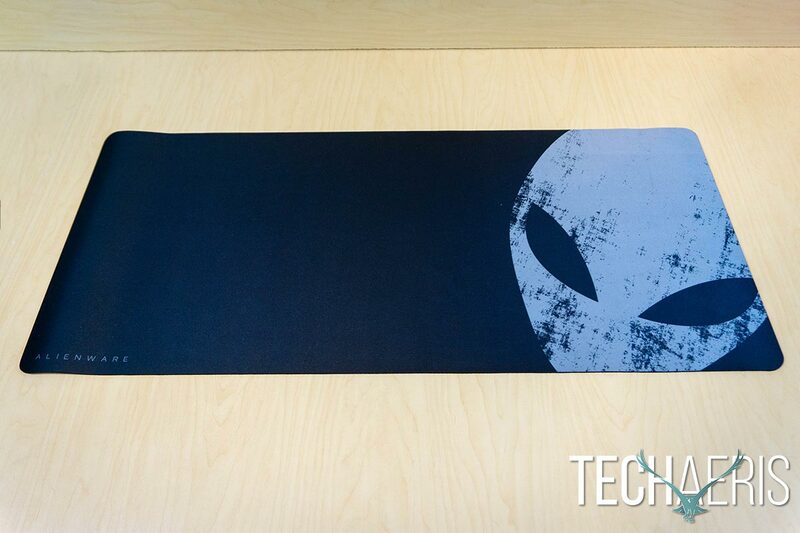 In addition, you can also snag an Alienware TactX Extra Large Gaming Mouse Pad. Coming in at 32.7 x 14.6″ (83 x 37 cm), this large mat is great for going under both your keyboard and mouse. The mouse pad is black with a stressed grey Alienhead icon on the right side under where most people would use their mouse. This mat isn’t cheap though and will run you $29.99USD/$39.99CAD but definitely adds functionality and a bit more Alienware to your setup. 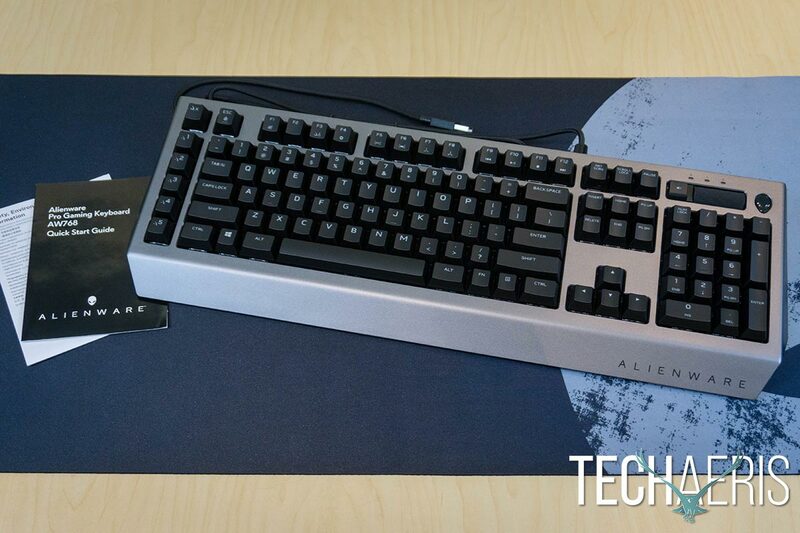 You can Alienware it up with the extra large Alienware TactX Gaming Pad as well. With an MSRP of $109.99USD/$139.99CAD, the Alienware Pro Gaming Keyboard is only $20USD over its Advanced counterpart. Given you’re getting the same brown Kaihl mechanical switches in addition to onboard profiles and LED lighting, it’s well worth spending the extra $20. Even better, the Pro is currently $104.99USD/$99.99CAD (nice to see Canadians getting a break for once!) 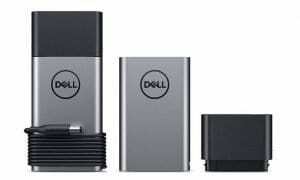 on the Dell site and as low as $81.99USD on Amazon making it an even better value. While similar in design to the Alienware Advanced Gaming Keyboard, the Alienware Pro Gaming Keyboard offers enough upgrades with a reasonable price bump to justify it. If you’re looking for a solid mechanical gaming keyboard with macro functions and LED backlighting, the Alienware Pro Gaming Keyboard gives you a pretty decent bang for your buck. 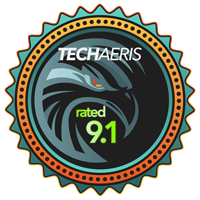 *We were sent a sample of the Alienware Pro Gaming Keyboard (AW768) for the purposes of this review.